I got to know Rick several years ago as a customer of ours, but he became much more than that over the years. I can’t tell you about Rick’s private or personal life, I can’t tell you what he liked to do other than ride horses, and love his family, and he did both of those things with passion. 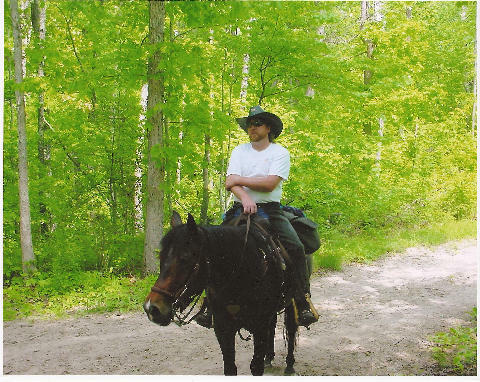 When it came to riding with Rick, you had better pack lunch, supper, and an evening snack in your saddlebags, because Rick didn’t want to go out for less than 8 hours. One of the first times I remember, it was well after dark, getting on close to 9 or 10 o’clock, and we were getting worried. Pretty soon, here comes this group of “glow sticks” up the trail! Just about all the horses had glow sticks tied around their necks, and several riders were wearing head lights. After they got in and got settled, I walked over and expressed my concern with how late they had been out, and was told real quick, “don’t you worry about us, we’re here to ride”, and I never worried about Rick after that, and he always made it back. 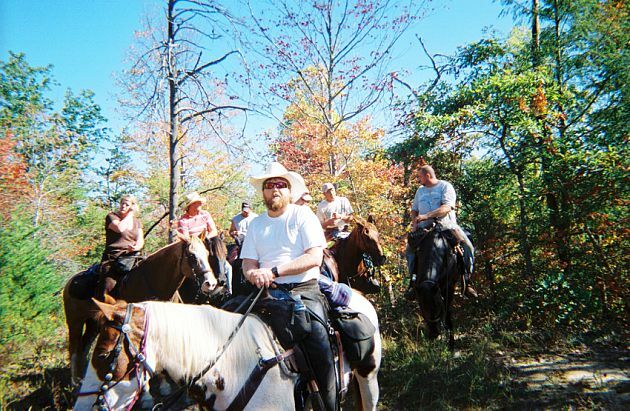 When we started talking about a 4 day ride through Big South Fork, Rick was one of the first to sign up. When we rode out of the campground, he had a big smile on his face, and it stayed that way the whole trip. As we rode, we talked about rides, and places we had seen and been, but the mood and the friendships that developed along the way put this ride at the top of the list. When we rode back into the campground after 4 days and 80 some odd miles, we looked at each other, and both of us were ready to ride out and put some more miles in the saddle. Rick told me he thought this had been the best ride he had been on, and the only problem he could see, is “how are you gonna make it better”. As Rick and Debra loaded up, we all talked about next spring, and looked forward to next year’s visit. A short 6 weeks later, Rick had a stroke and died, after coming in from feeding the horses, and complaining of a headache. Words cannot express the truly deep sadness I felt when Debra told us the news. The passing of good people is always hard to deal with, especially young people with so much of life ahead of them, but the sadness was really for Debra, because I’m sure I know what he meant to her, as she did to him. I’ll miss Rick, he used to sit in the back ground at karaoke night, and after quite a bit of liquid encouragement, he’d get up and cut loose now and again. If you knew Rick, you lost a good friend. If you have a story about Rick you would like to tell, please, e-mail me.